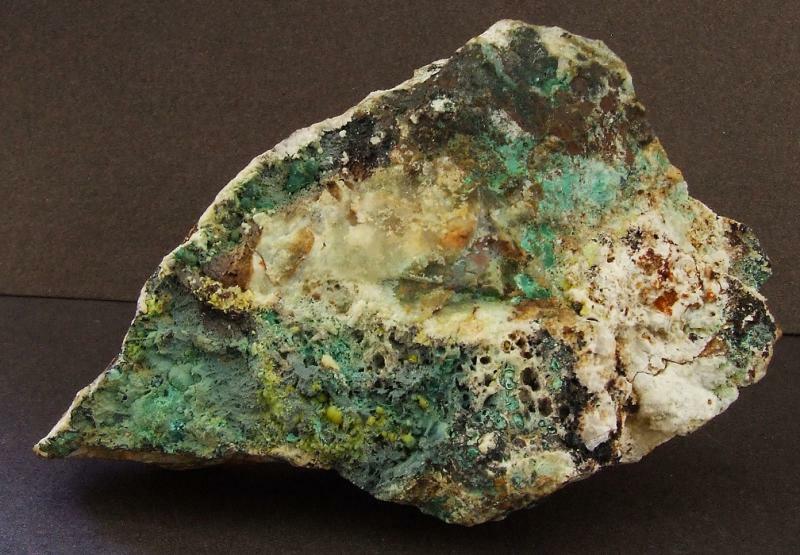 I was just reading (*) about Norman Thomson's first collecting trip to Roughton Gill Mine, by bicycle, in 1939, when the dumps were "covered in green and blue." 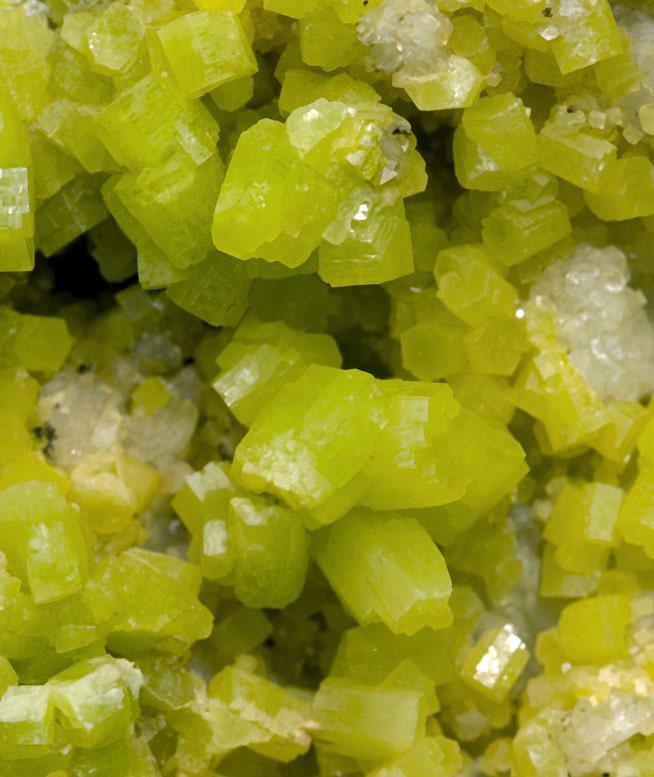 He later built a vast collection of minerals from the area, many of which (1700) were donated to the Oxford University Museum of Natural History in 2010. 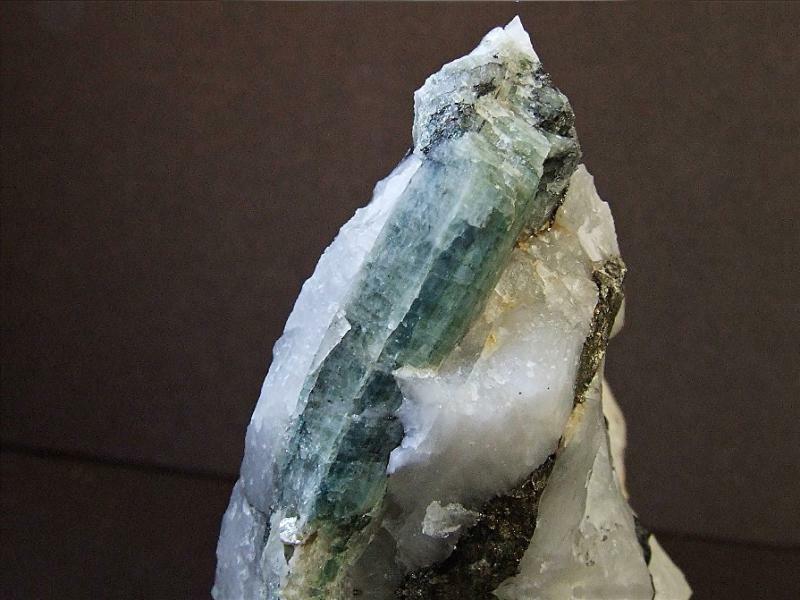 The diversity of mineral species from this area is very large, many of them green or blue in colour. 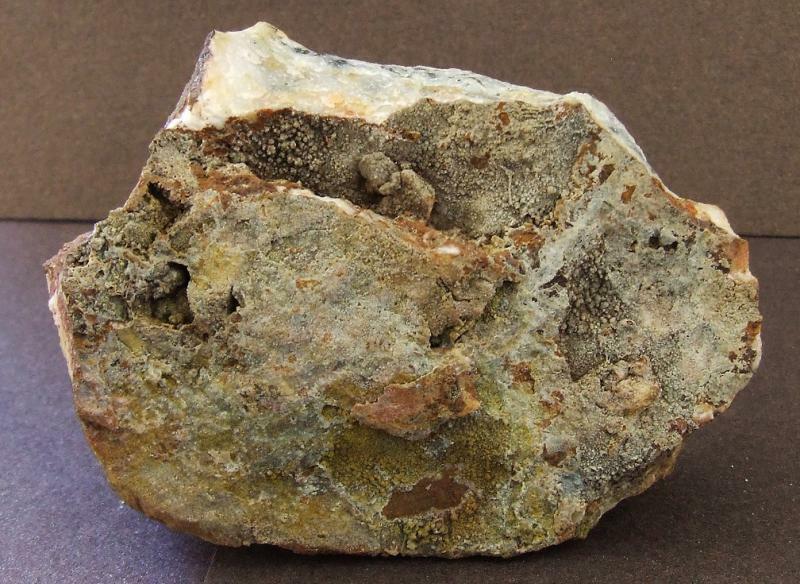 What interesting material do people have? 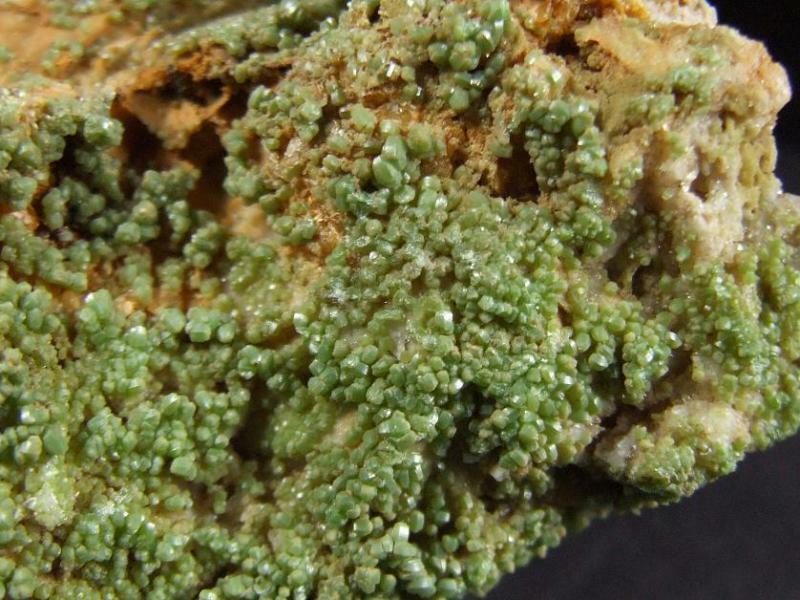 Some green pyromorphites to start with. * Green et al. 2012. UKJMM 33, 21-34. Mexico Mine, Roughton Gill, Caldbeck Fells, Cumbria, UK. 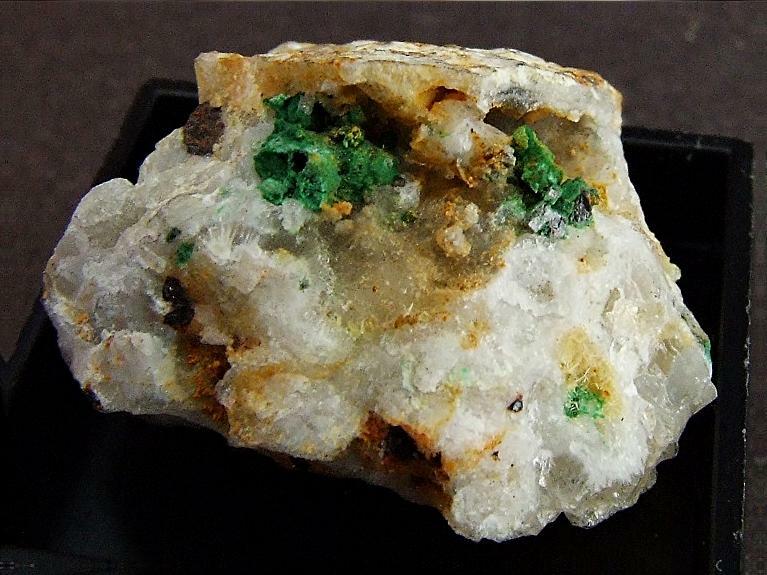 Crystals to 11 mm on 4 cm matrix. Something blue. 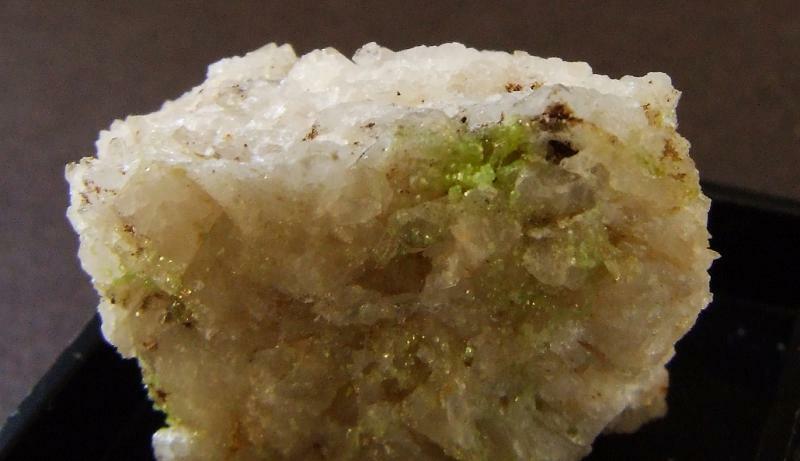 Caledonite from Red Gill. Red Gill Mine, Red Gill, Caldbeck Fells, Cumbria, UK. 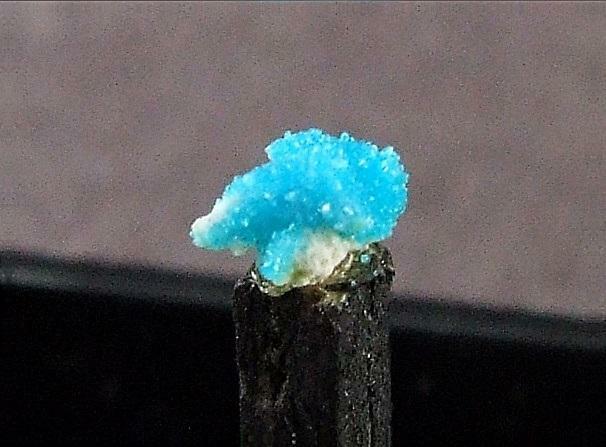 Crystals to 1 mm on 28 mm quartz matrix. 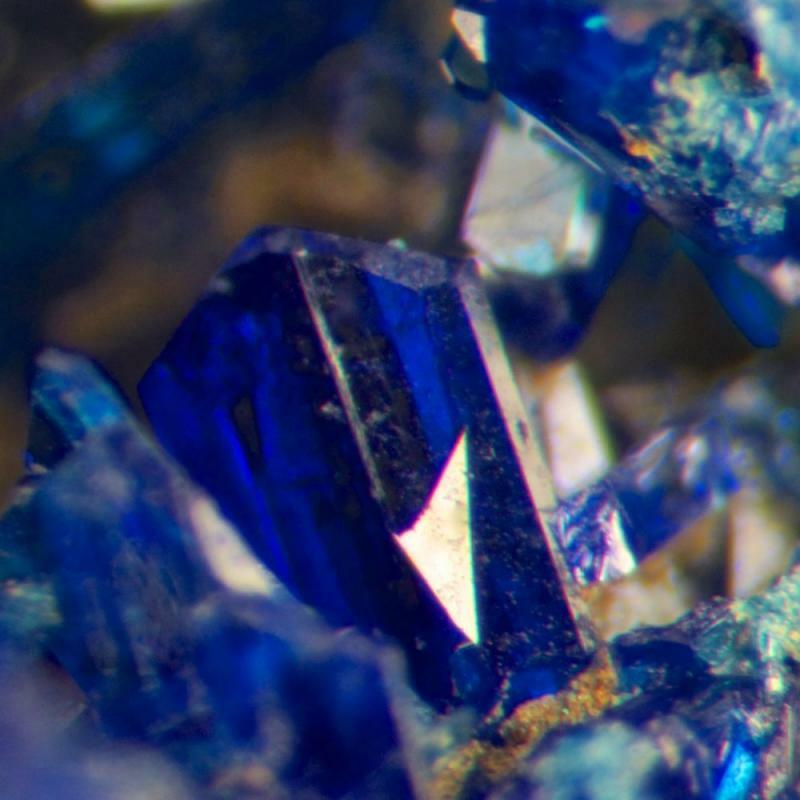 Crystals to 5 mm on 3 cm matrix. Short Grain, Deer Hills, Caldbeck Fells, Cumbria, UK. 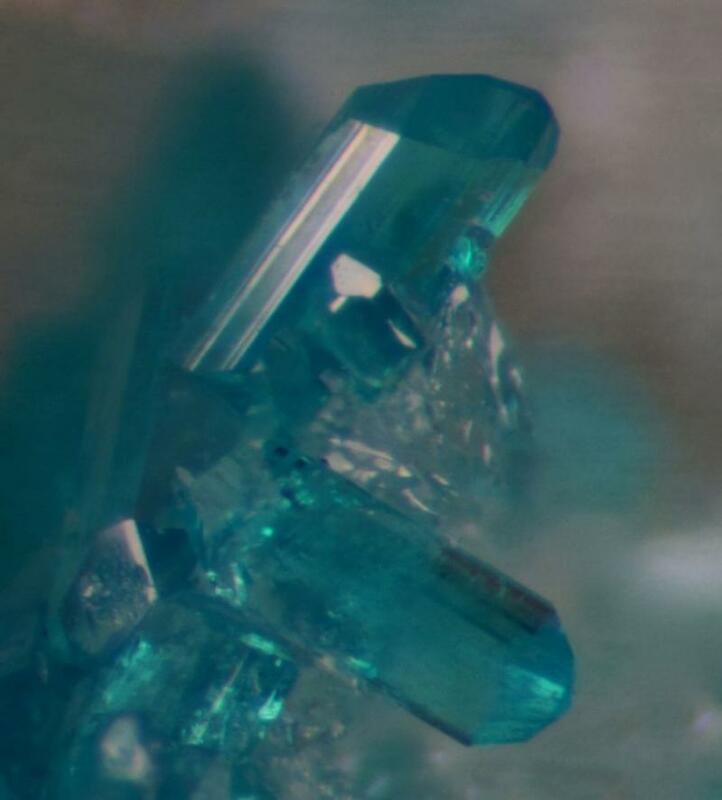 Crystals to 3 mm on 3 cm matrix. The color is drop dead gorgeous on these. I'm looking forward to seeing the specimens people have from those hills. 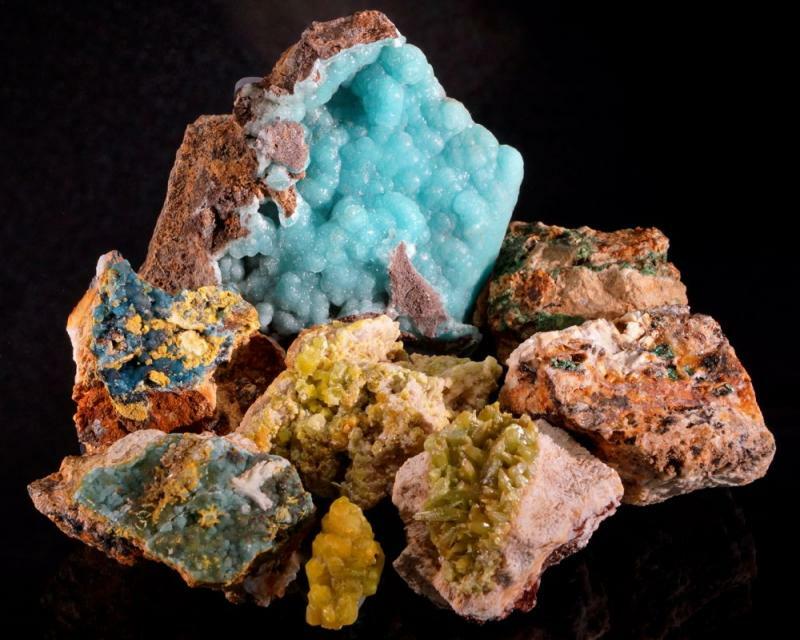 Just sticking to blues and greens, there will be plumbogummite, brochantite, philipsburgite, adamite, rosasite, duftite, beudantite and perhaps a few more. 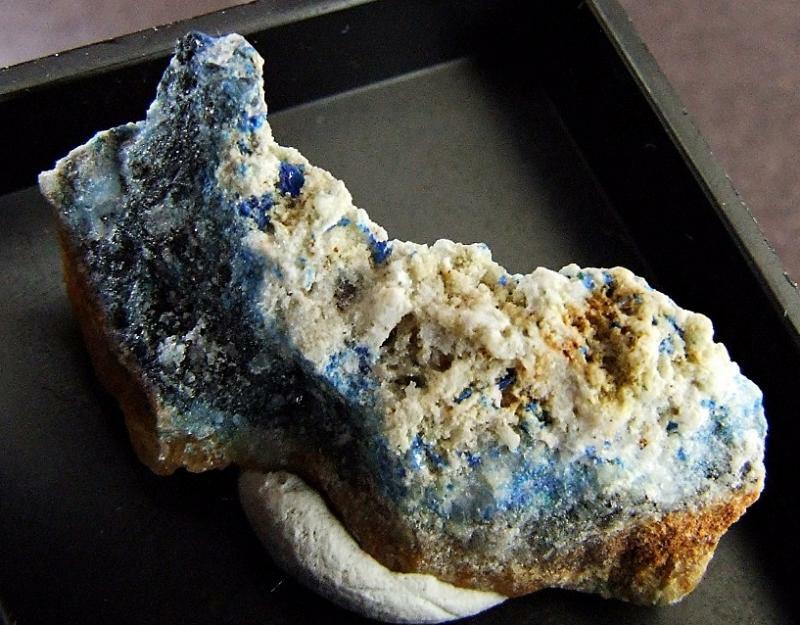 Plus the famous blue hemimorphites and perhaps some pseudomalachites. Plumbogummites are famous from here. 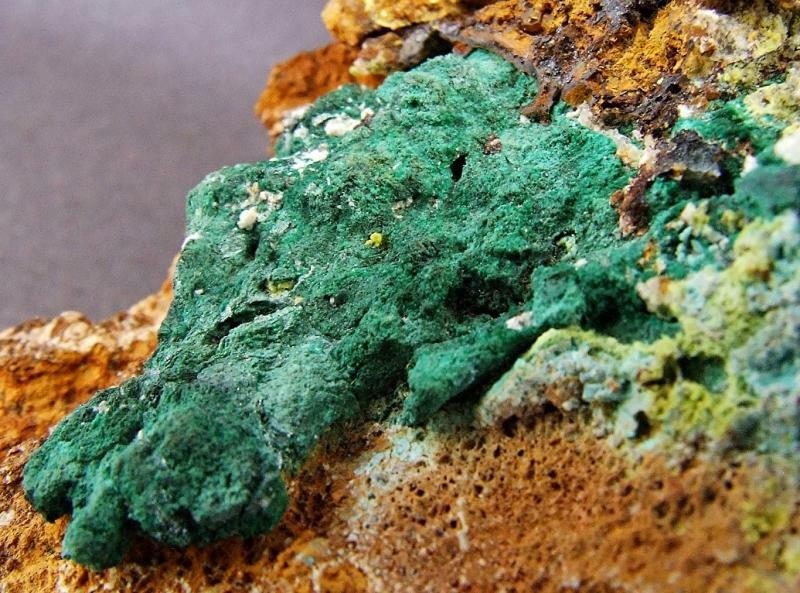 This one is from the Dry Gill Mine. Dry Gill Mine, Caldbeck Fells, Cumbria, UK. 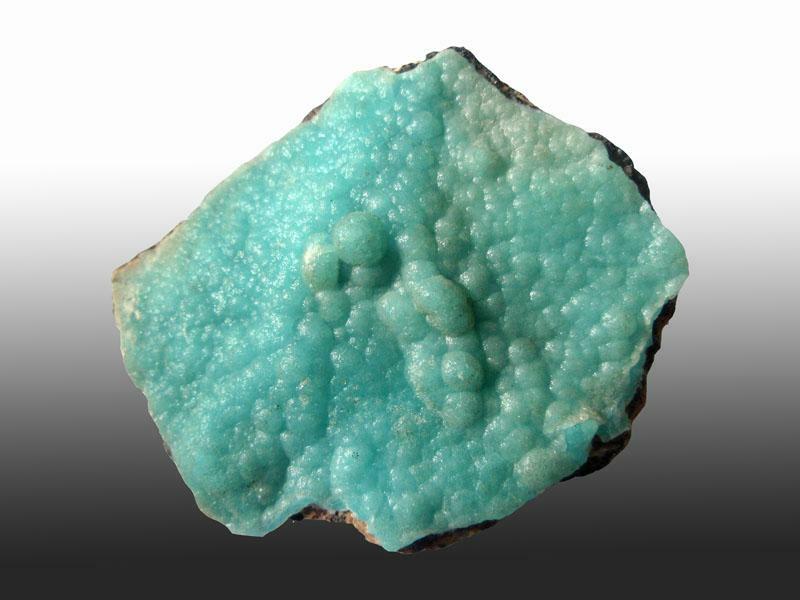 Blue hemimorphite from Roughton Gill, collected in 1959 by the well-known British collector Arthur Scoble. 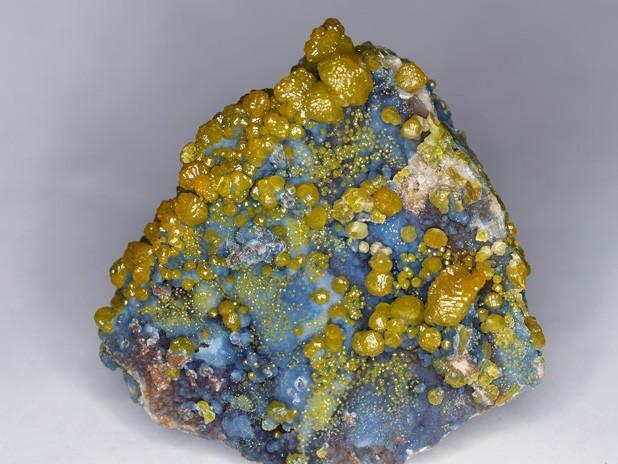 My contribution is a cabinet specimen of deep blue plumbogummite and green pyromorphite from the Roughton Gill mine. Wow, Knut, an astonishing and beautiful specimen. 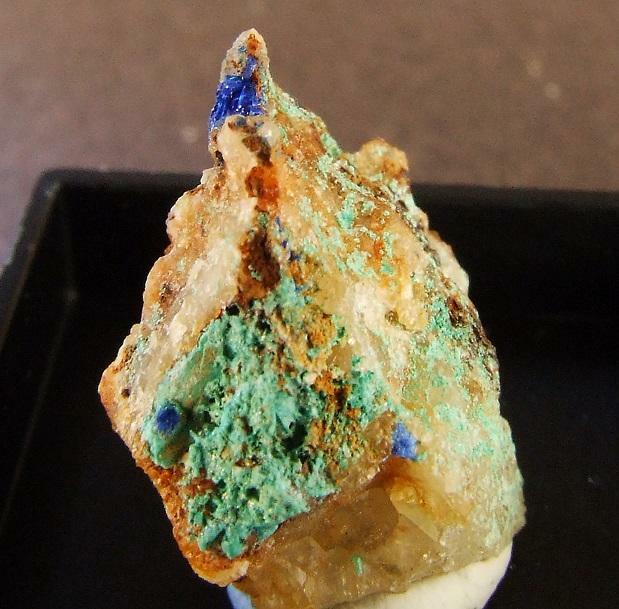 An excellent hemimorphite, Ian, and it definitely adds to the interest when a historically well known collector is involved. 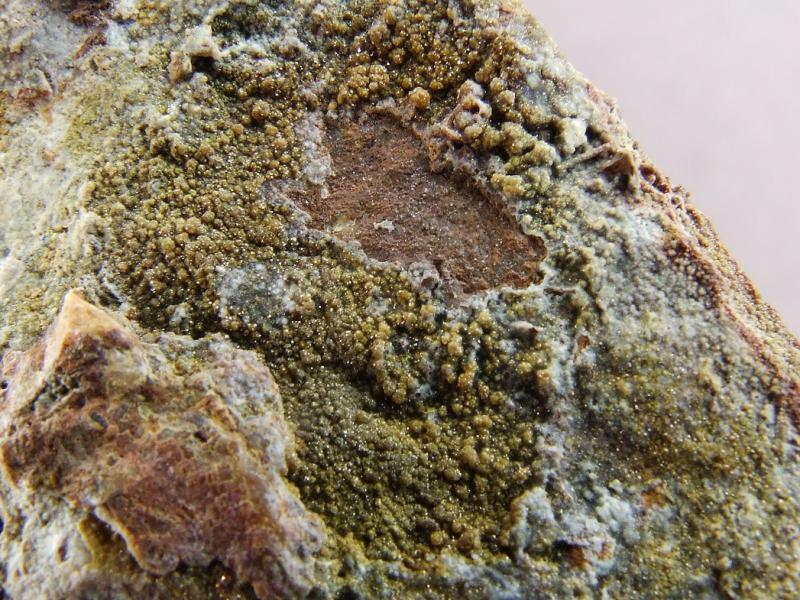 Lovely image of Roughton Gill pyromorphites, Jordi. 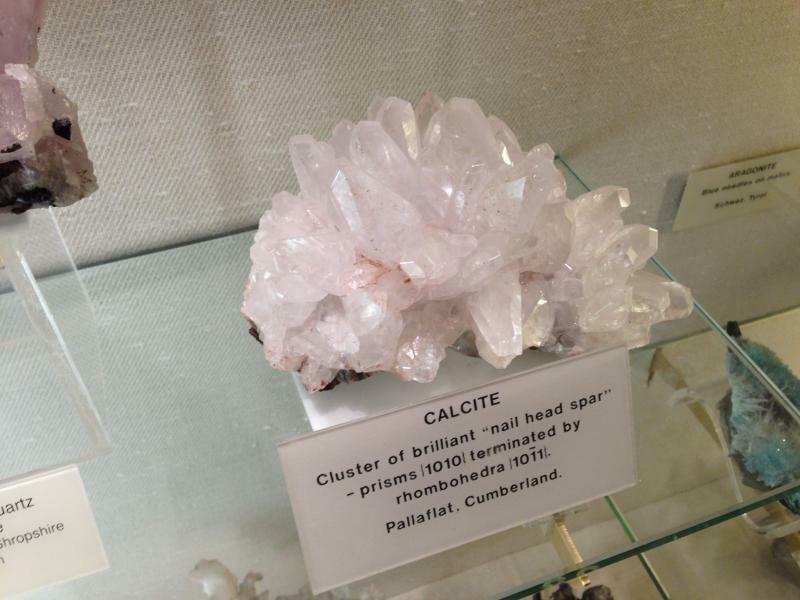 I just put a group of Caldbeck specimens together for a photo. 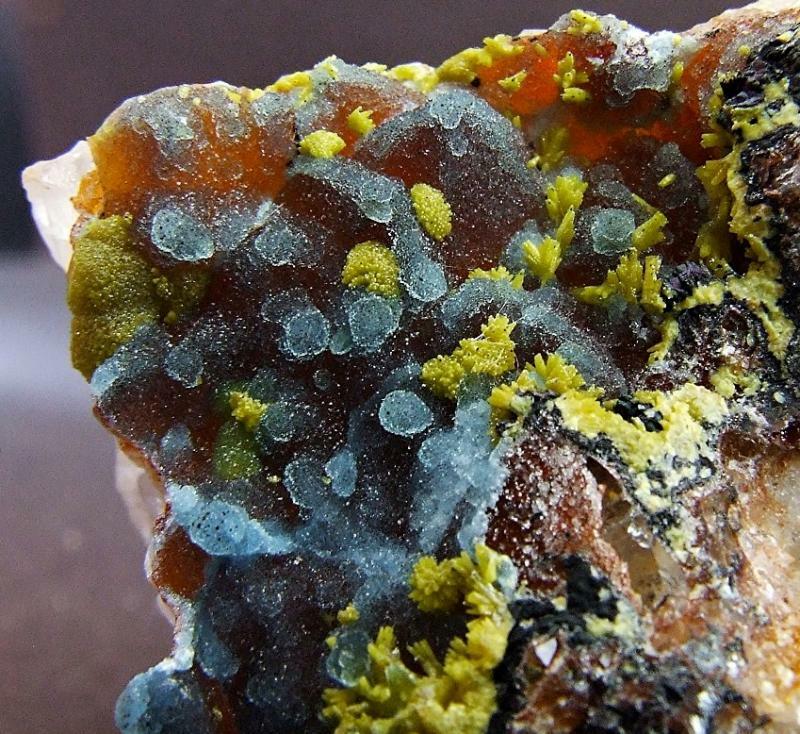 Hemimorphite, pyromorphite, plumbogummite, mimetite, philipsburgite, duftite. Roughton Gill, Dry Gill, Brandy Gill, Driggieth Mines, Caldbeck Fells, Cumbria, UK. 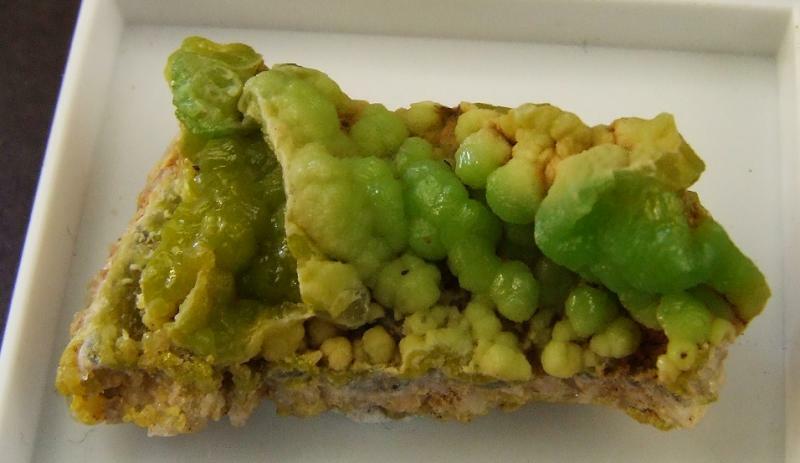 The loose pyromorphite in the foreground, from Roughton Gill S lode open cut is 25 mm tall. 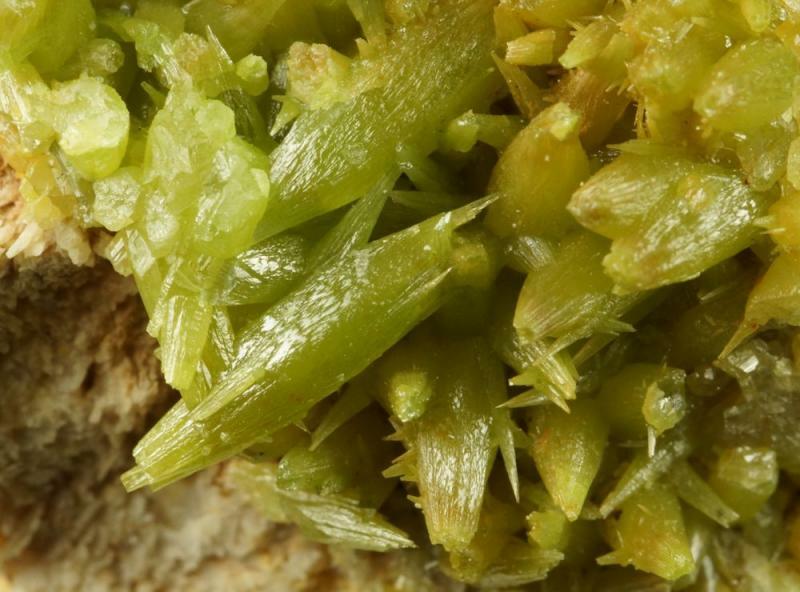 A closer view of the pyromorphite in the group picture. Open cut on Roughton Gill S lode, above Low Mexico Mine, Roughton Gill, Caldbeck Fells, Cumbria, UK. Roughton Gill, Dry Gill, Brandy Gill, and Driggieth mines, Caldbeck Fells, Cumbria, UK. 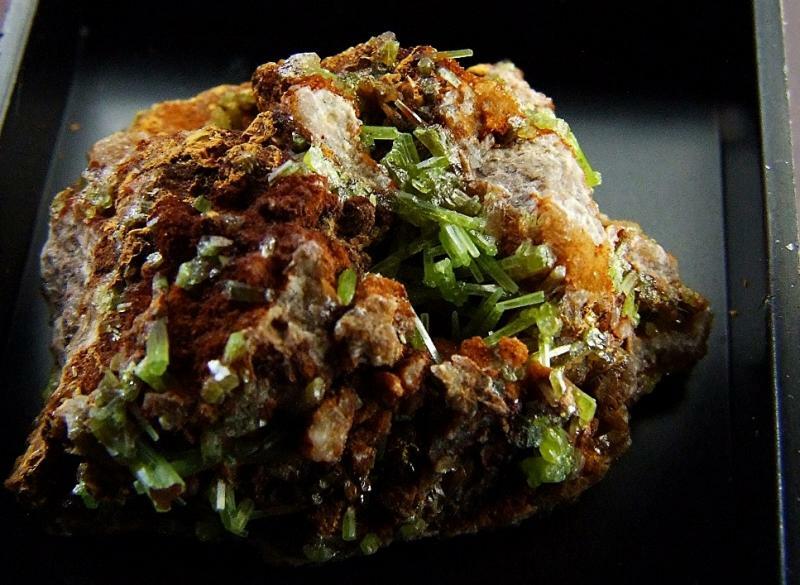 25 mm pyromorphite at front. 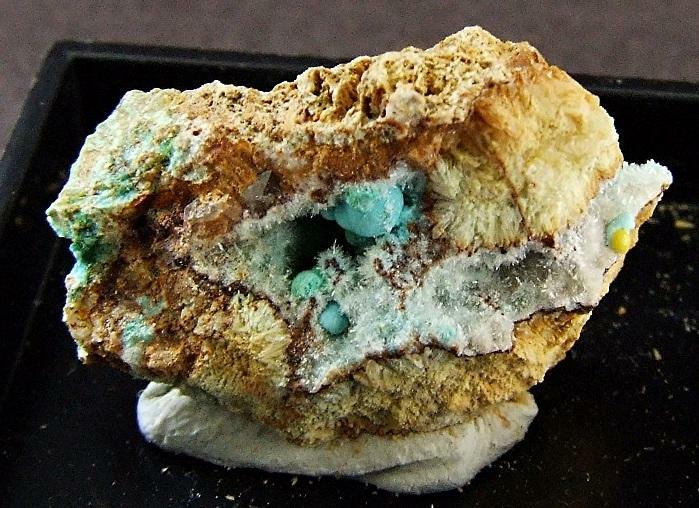 8 cm hemimorphite at back. Here's an unusual one. 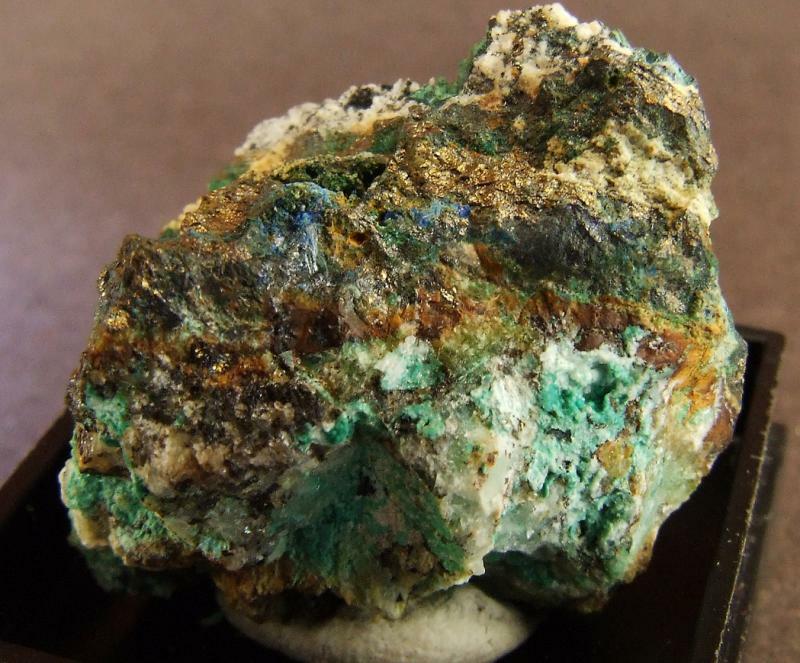 Philipsburgite from the Driggith (or Driggeth or Driggieth) Mine. 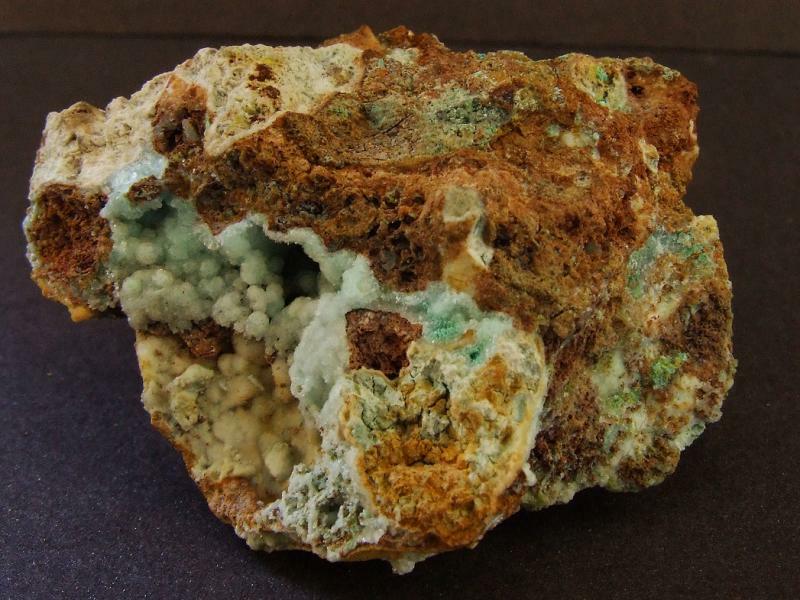 Philipsburgite on quartz (ex Ralph Sutcliffe). Driggith Mine, Caldbeck Fells, Cumbria, UK. 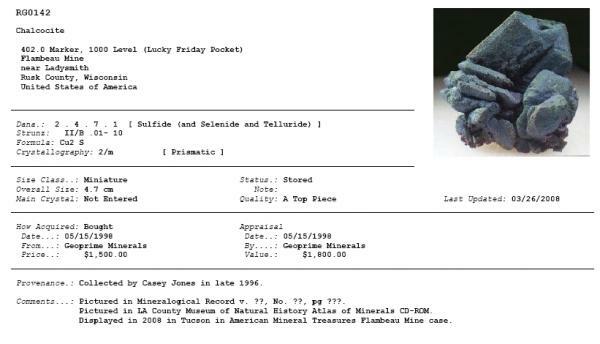 Field of view is 15 mm, specimen is 55 mm. 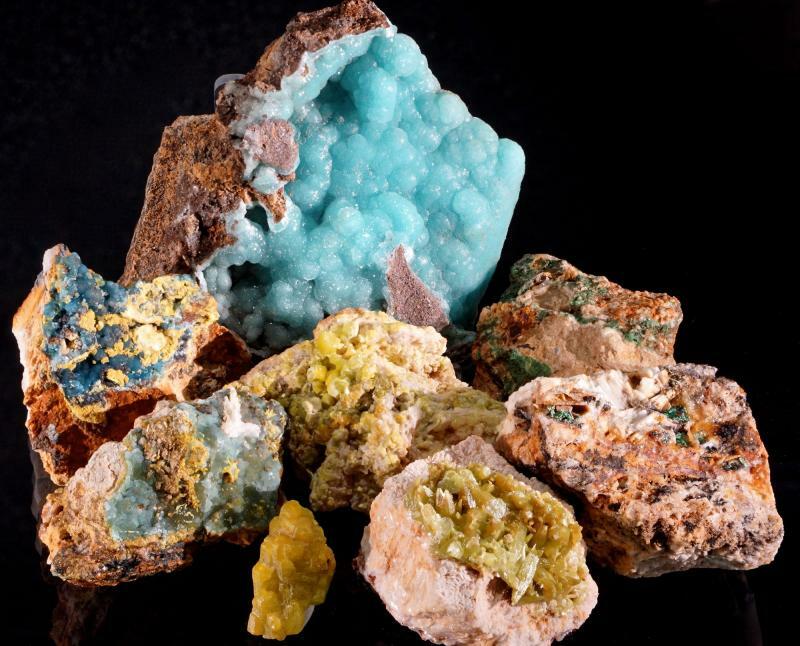 Here's some ... Bayldonite, Caledonite, Linarite, Malachite, Plumbogummite, Pyromorphite, Rosasite and Apatite. 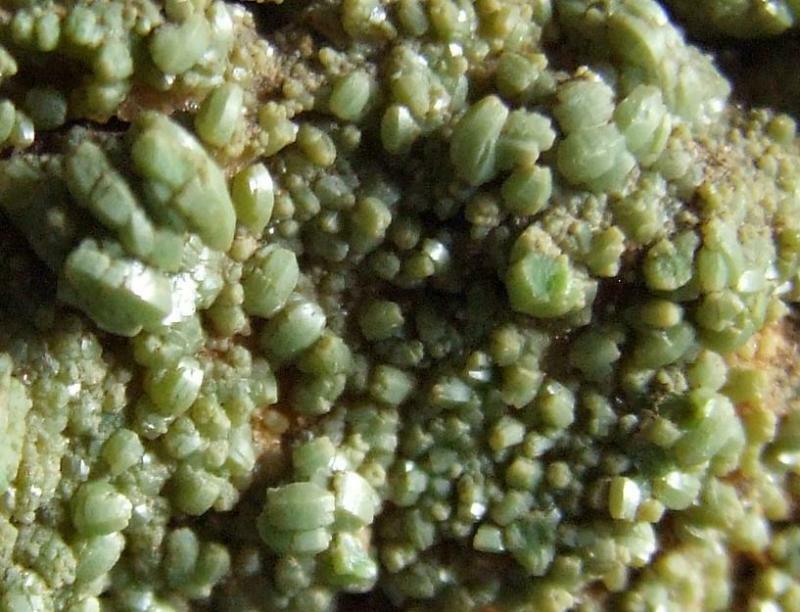 I was surprised how many green and blue Caldbeck samples Ive got, and theres quite a few more Ill add when I get the chance, some are really just locality specimens but theres some good ones lurking in there too. 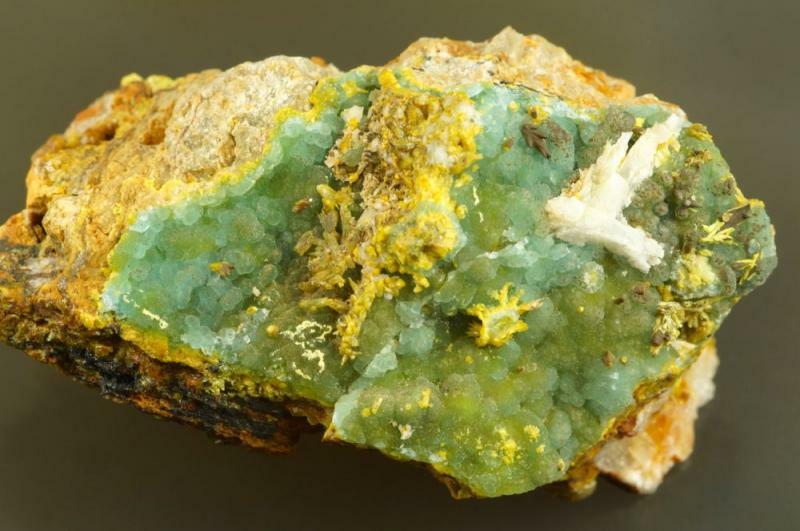 Brandy Gill Mine, Caldbeck Fells, Cumbria, England, UK. Red Gill Mine, Caldbeck Fells, Cumbria, England, UK. Roughton Gill, Caldbeck Fells, Cumbria, England, UK. 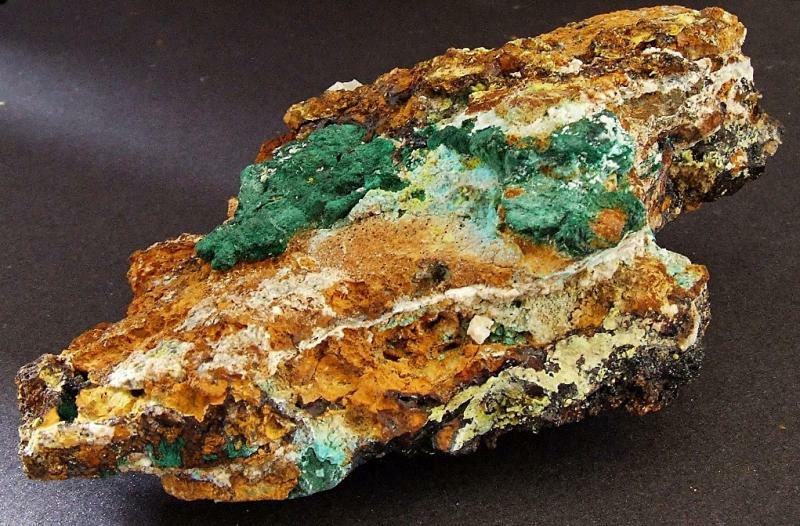 Mexico Mine, Caldbeck Fells, Cumbria, England, UK. Dry Gill Mine, Caldbeck Fells, Cumbria, England, UK. Roughton Gill mine, Caldbeck Fells, Cumbria, England, UK. Carrock Mine, Carrock Fell, Caldbeck Fells, Cumbria, England, UK. Hi Nurbo. I really like this combination. 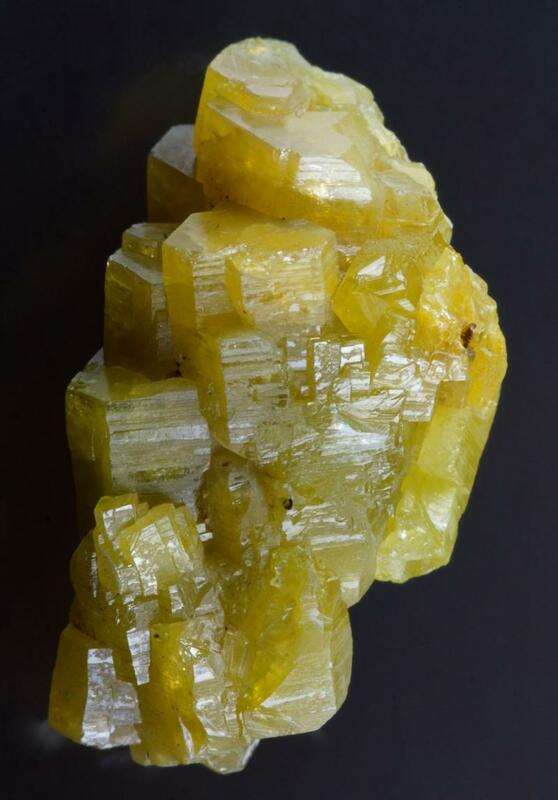 plumbogummite.jpg. It is stunning. 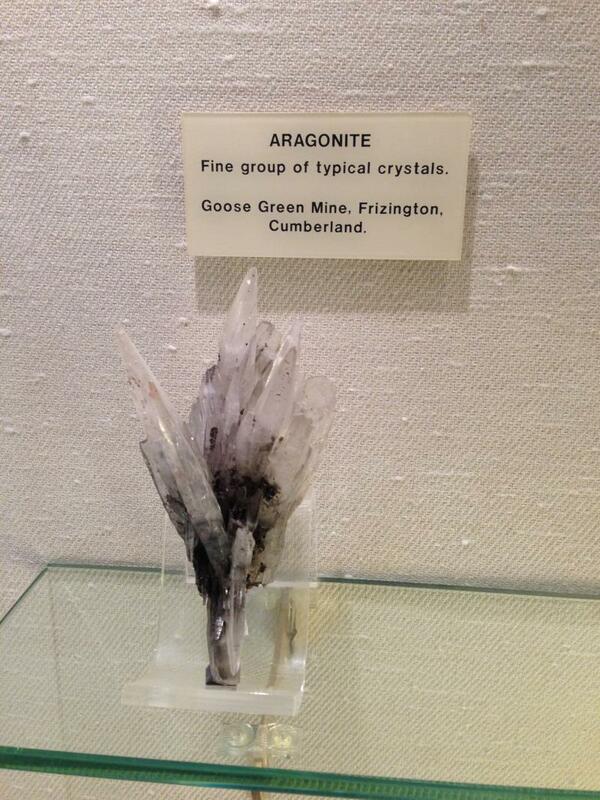 I never knew that the UK had such nice mineral specimens. Unfortunately the really nice UK pieces are hard to come by,and whenever I see them I realise that unfortunately I'd need to sell my house to own one. 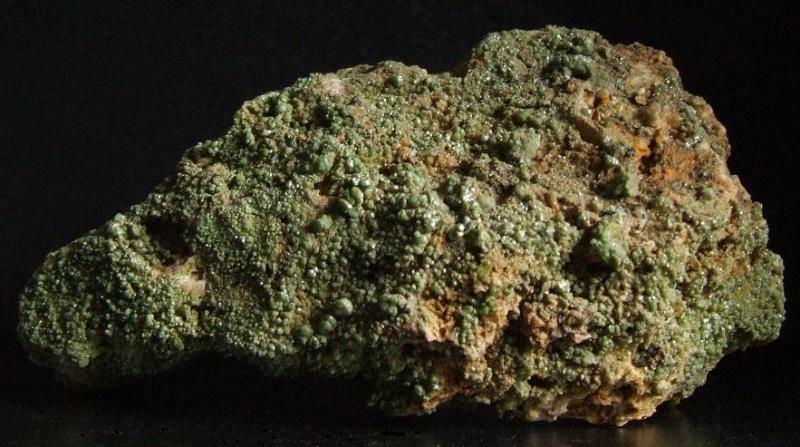 The Scorodite is greener in the flesh than the photo suggests. Driggith Mine, Caldbeck Fells, Cumbria, England, UK. 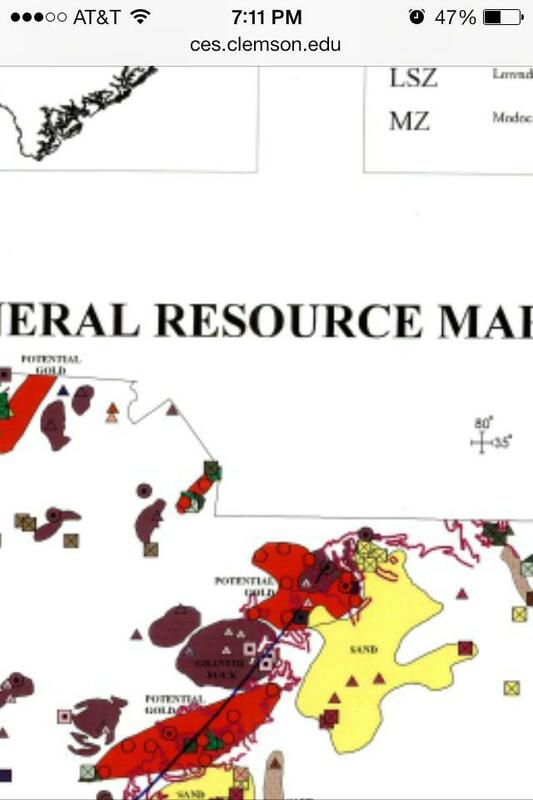 Mexico Mine. Caldbeck Fells, Cumbria, England, UK. Thief Gill, Caldbeck Fells, Cumbria, England, UK. 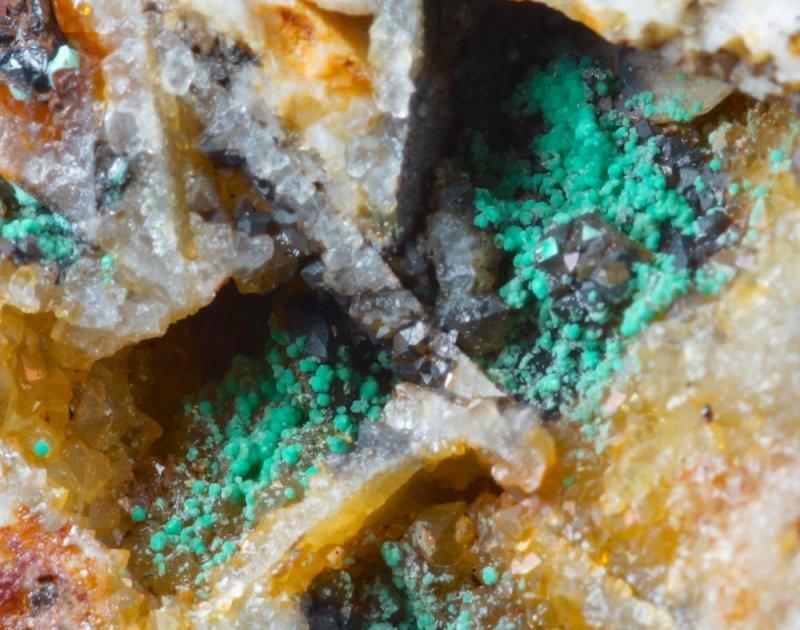 Potts Gill Mine, Caldbeck Fells, Cumbria, England, UK. Deer Hills Mine, Caldbeck Fells, Cumbria, England, UK. Excellent selection of specimens, nurbo. Thank you for sharing them. 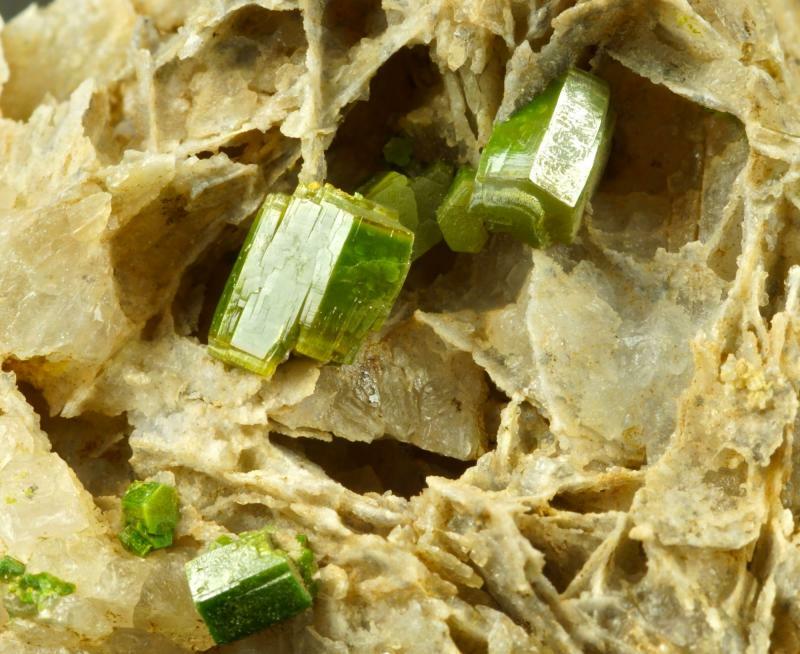 I had forgotten about the apatites (have you seen one with good terminations?) 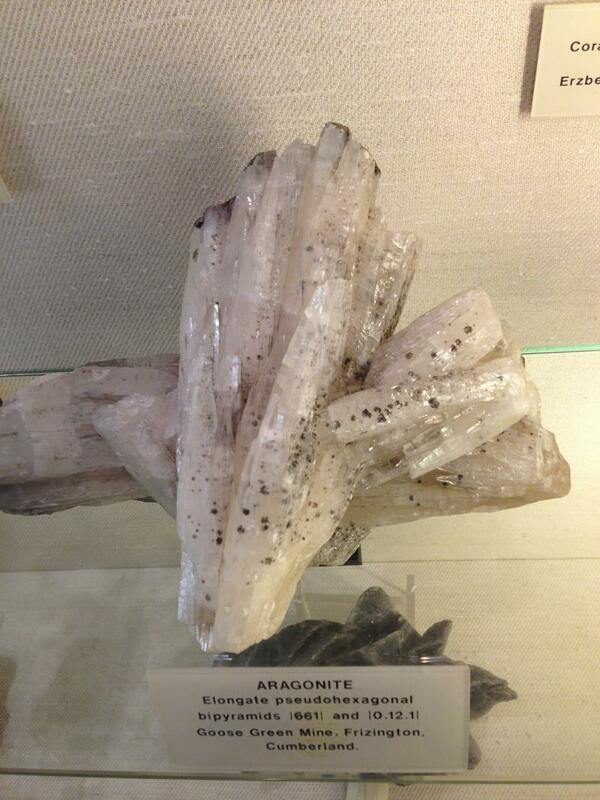 and had not seen scorodite from there before.